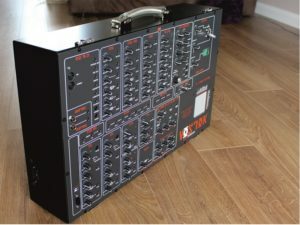 Erica Fusion modules have insignificant (max 15mA) power consumption from eurorack power supply unit (PSU), but they require separate, easy to install 6VAC PSU for tube heaters. Erica Fusion 6VAC PSU is designed to power up to 7 Erica Fusion modules. 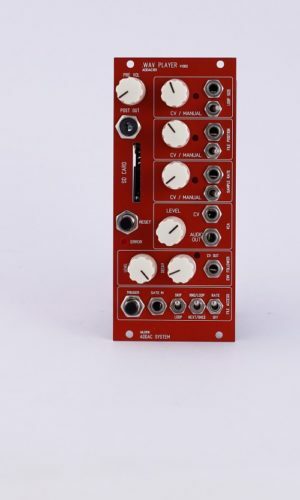 Erica Fusion dual VCO Mixer module is designed to mix several waveforms from your VCOs in order to get interesting and unique waveshapes. 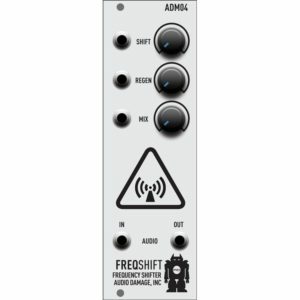 It also can be used as a waveshaper, if you apply PW modulated pulse signal to one of the inputs – it will radically change resulting waveform in real time. 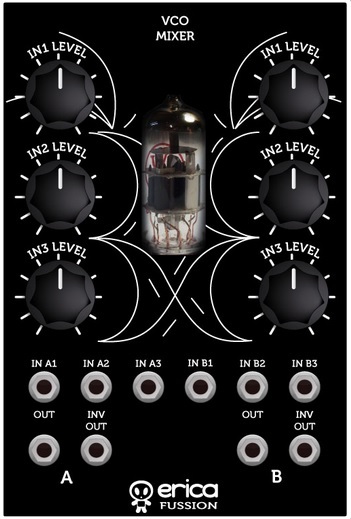 Special feature of this mixer – great tube distortion effects with level knobs all way clockwise. Of course, you are not limited to mixing only VCO signals – the module works with any audio signal. 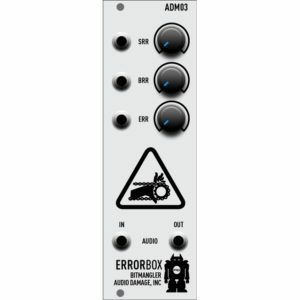 Since module features two mixers, you can use it even for stereo applications!